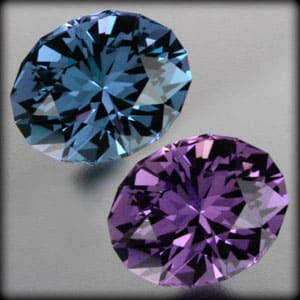 Color change spinel. Cut and photographed by [http://www.whitesgems.com/ J.L. White]. Image remains under copyright of the maker.